Is there anything special about the home learning environment and the student’s ability to manage it to meet their learning needs? We know that schools are but one learning environment, although of many hues, and that students are able to access others either through the internet or more traditionally at home. To see just how important is the home environment in influencing achievement we can look at the work of Hattie. Hattie’s work attempts to answer the question “what has the greatest influence on student learning?” Hattie[i] calculates that home environment has an effect size of 0.57 (just over a grade) the same as socioeconomic status. By comparison the class environment scores an effect size of 0.56 and a student’s disposition to learn 0.61. Taking the above effect sizes together the environment, be it at school, or at home, has a significant influence on learning. I doubt few teachers would argue with this. My argument with LQ is that where the learning environment suits the learner they learn better. These figures suggest this is true. My rational for developing LQ is for the occasions when there is no natural match between learning needs and the learning environment, for when the learner finds themselves in a “toxic” learning environment. The opportunity for homework could be a way of overcoming a toxic environment before the learner develops their LQ and understands how to manage the environment to meet their needs. This would only be true if the home learning environment differed from that of school and more closely met the learner’s needs. If the home environment mirrored that of the school then without developing LQ we would see no discernable difference in a student’s disposition to learn or their achievement. Just how important is homework anyway? Now let us look at the effect homework has on achievement. Hattie suggests an effect size of 0.47, almost a grade. The trouble for teachers is that they have no control over how this work is completed. This opens up a dark side to homework. One where the learner is passive “companion” rather than active “explorer” in completing homework. I refer to those occasions where as a teacher what you see before you has in your opinion obvious parental finger prints all over it. Or has it? We may only make this assumption because the quality of the work is out of context when considered in the same light as classwork. One reason for the improved performance could be that we are creating a classroom environment which actually limits the learner and when at home he/she is in a learning environment better suited to their needs and therefore is able to produce much better work. This is not something we as teachers are likely to easily accept but is there any supporting evidence for this theory? I’ll return to point this later but if you have been following the articles on LQ you may have already guessed that I think there is. If not start with a look at “The LQ rich environment” (http://wp.me/p2LphS-3u) in this blog. What about the “home” in homework? The home environment varies enormously from ones where education or learning features little to those that actively promote learning and value it highly. Access to the internet and on line learning resources has the ability to level this playing field a little but only if it is actively sought as a support for learning. Parental influence has always been shown to be a major influence on a student’s engagement in learning. This influence can be in the form of encouragement and establishing values to actively providing resources and activities that support homework. The home is obviously not a level playing field but despite this some learners produce original and good quality homework. A learner who needs quiet reflection time in order to assimilate and apply knowledge may find such opportunities at home and not in school. A learner who likes to discuss concepts and tasks may find he/she is allowed to do so at home whereas class discussion may be discouraged. Could we see this as further support for finding ways of matching learning needs to the learning environment and therefore developing LQ in learners? Will any homework in any conditions do? If we accept Hattie’s findings then the nature of homework and the value given to it as a way of learning can be a significant factor in student achievement. There are two important issues at play here. The first is the characteristics of the learning environment associated with the home and how this supports homework tasks. I have briefly mentioned this above. There is though the aspect of the benefits of collaborative homework that can take place in the home environment too. The second is quality of the homework and perhaps the motivation for the setting of homework (I believe there is often a link between these two). Homework that is not done is of no good. The common outcome of this is sanctions and a negative learning experience as well as time expended by the teacher on enforcing rather than encouraging. Homework that has little substance and does little to aid the learning process is of little value other than in establishing routines and expectations. Neither of these examples I believe would rate an effect size as substantial as almost a grade increase as suggested by Hattie. Well let’s consider LQ and homework. Homework offers the learner an opportunity to explore the link between the learning environment and learning needs and the effect on achievement. This will only occur though if there is discussion about the link. It is my experience that this rarely happens. The learner is kept in the dark about how the environment impacts their learning. What is more they are not supported in developing their LQ to overcome environmental limitations or effects. I believe strongly that when we are explicit about the impact of the learning environment on learning and discuss learning needs then we are able to develop LQ in learners. Knowing what to do about your learning environment and how it is affecting you is a critical factor in raising achievement. It is my contention that used appropriately homework gives us an opportunity to develop LQ. 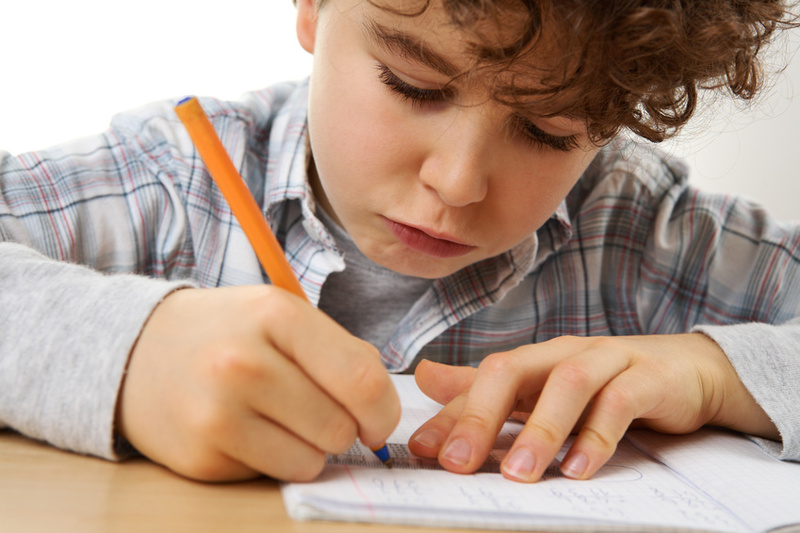 Could homework be the antidote to school? There has been a long running debate about the value of homework and even if Hattie had not shown an effect size of almost a grade many would continue to say it has no value. Perhaps I have just added to the debate by suggesting that homework could be the antidote to the learning environment we know as school. I am now offering Continued Professional Development (CPD) courses about LQ and you can contact me at kevin@ace-d.co.uk if you would like to include building LQ awareness in your staff development programme. Your 10 reasons to love homework are all spot on and Hattie’s research on effect size would suggest the benefits that can be gained from it are significant. The summative points you raise from research are also very important, especially the last one. “The quality of homework is more important than the quantity. Pupils should receive feedback on homework which is specific and timely. My article did not set out to explore the value of homework or how to set homework however. As you have pointed out done well it adds value. I developed the concept of Learning Intelligence, “LQ”, as a way of explaining to teachers about the impact of the learning environments they create and for learners to understand the impact the learning environment has on their achievement and ability to learn. The homework landscape is part of that environment but if we think beyond good homework/bad homework or why homework and start to look at the learning opportunities that this different environment could offer if managed appropriate to the learners needs then we may begin to see a different set of reasons, or more evidence, for the value of homework. Homework is vital to the student. It gives them the opportunity to become self-directed learners. If the student was informed of environmental factors and their implications at an early age, maybe grades 7 and beyond, they would be able to raise their learning intelligence. I agree with you Curtis. Raising the concept of LQ makes a big difference to learners. I have found that discussing with learners at any point, even those who have had negative experiences and are often classified as “reluctant students”, can bring improvements in learning. Unfortunately homework is used for purposes other than learning at times and this had impacted on its value. Key to LQ is making learners aware of the skills, attributes, attitudes and behaviours associated with managing your learning environment to meet your learning needs. The home is just one of those environments. The issue I have found is that few teachers actively engage in such discussions. I am developing the concept of LQ in the hope that this will change because LQ gives the teacher or parent the language necessary for this discussion to take place and the tools to do something about it. The connection between homework and LQ, is an intriguing one. You make the point that home may simply offer some students a more conducive environment to learning (e.g. quiet time for reflection or the opportunity to discuss ideas, depending what’s needed) – makes sense to me. Reflection time is a vital aspect of learning that is often missed in the day to day busy-ness of school where classroom time is never enough. There is also Vygotsky’s point that learning is an activity often supported by collaboration with a more able peer (or an adult) – and that what a student can do with support today, she will be able to on her own tomorrow. So maybe homework time used effectively (and there, I think, is the rub…) can very well supplement skills and concepts introduced in school time.